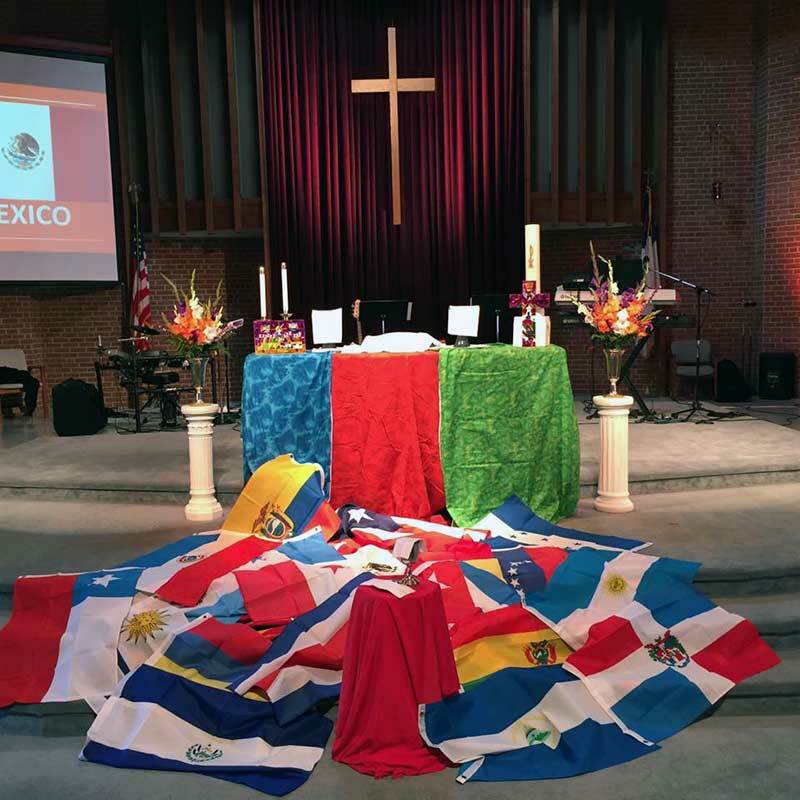 There was dancing in the aisles, prayers and sacred commitment, and Communion served in front of an altar decorated with flags from 22 Spanish-speaking countries. Posing for a photograph with the Cuban flag, were two new missionaries to the Baltimore-Washington Conference, Junia Licea Orasma and Alexis Pena Vazquez. 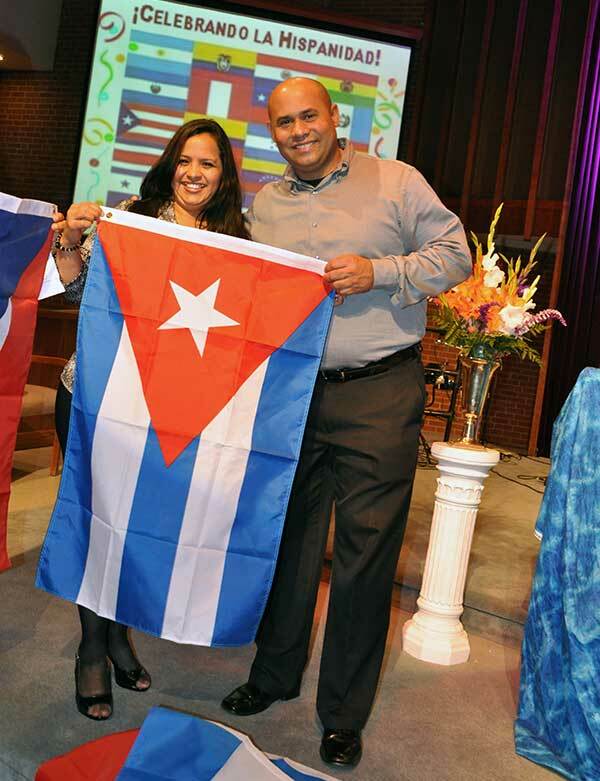 A little over a year ago, the pair, who were residents of Cuba and had done ministry there for more than a decade, were praying and felt God’s call to do something new in ministry. A relationship with the Rev. Leo Rodriguez, who was at that time was working as coordinator for Hispanic ministries for the Conference, prompted them to consider serving the immigrant community in Frederick. In July of last year, they moved to Frederick County and began work as missionaries, reaching out to the Latino community and sharing God’s love. The move was a bold one. They came with limited knowledge of English, lived in a home provided for them and depended on others for transportation. The Rev. 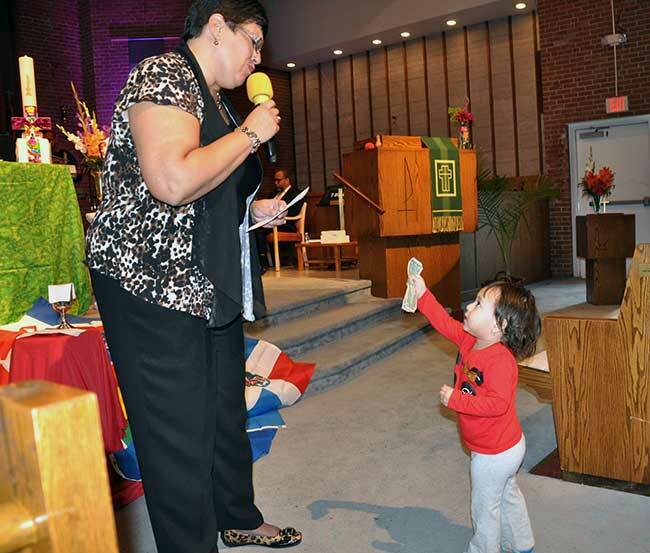 Eliezer Valentin Castanon, pastor of Trinity UMC, provided vital support. It has been an exciting, sometimes scary, always Spirit-filled time, the couple said. 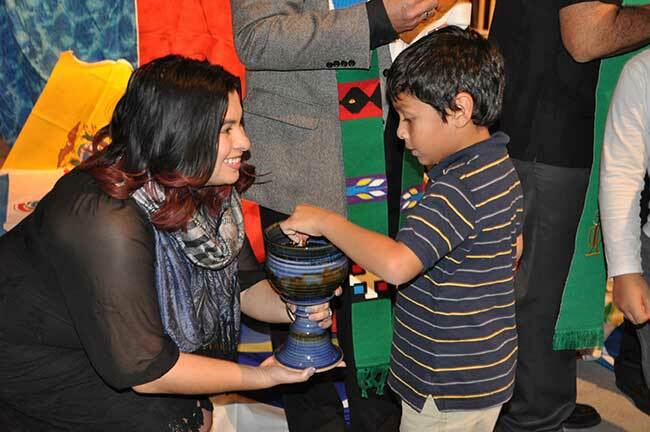 Recently, Brook Hill UMC in Frederick intentionally expanded their outreach to the growing Hispanic population in the area by inviting Pena and Licea to start a new faith community at their church. The response has been extremely encouraging, Pena said. 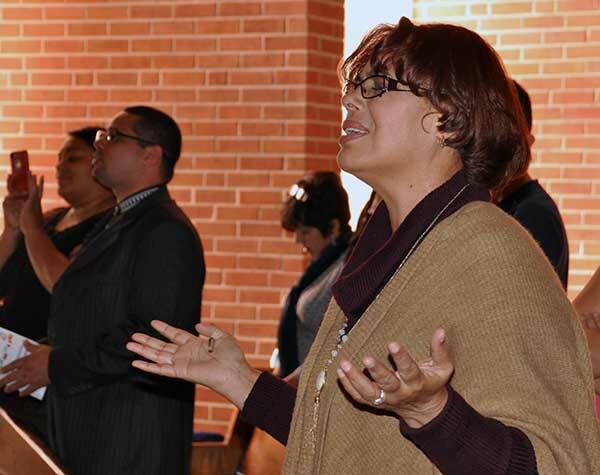 After only two weeks, 35 people are attending the Spanish-language worship service. The Rev. Wade Martin, senior pastor of Brook Hill, said the couple is already an integral part of the church community. He has been especially impressed at how they relate to the Hispanic families who participate in the church’s clothing ministry on Tuesday mornings. Both Martin and Pena believe there will be 100 people in the Latino worship within a year. The missionaries new outreach in the Baltimore-Washington Conference is an indication of a renewed commitment to Hispanic Ministry. In July, Emma Escobar joined the conference staff as a fulltime coordinator of Hispanic-Latino Ministries. She pointed out that in 2015, 57 million people, or 17 percent of the US population, were Hispanic and that Hispanics account for more than half of US population growth. The Washington region has this nation’s 12th largest Hispanic population, with 906,000 Latino residents, half of whom were born outside the U.S. 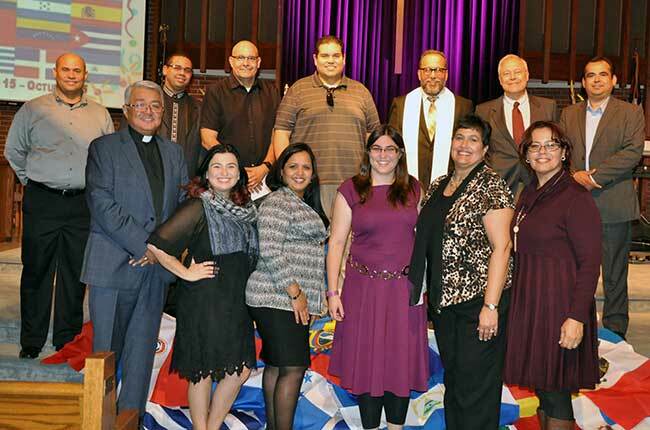 This rich mission field opens up many opportunities for United Methodist churches, said Escobar, who noted that there are currently eight congregations with Hispanic ministries in the Baltimore-Washington Conference. They include Calvary UMC in Martinsburg, College Park UMC, Epworth UMC in Gaithersburg; Brook Hill UMC in Frederick, Hughes-El Buen Samaritano in Wheaton, Millian Memorial in Rockville, Piney Grove UMC in Middle River and Salem UMC in Baltimore. 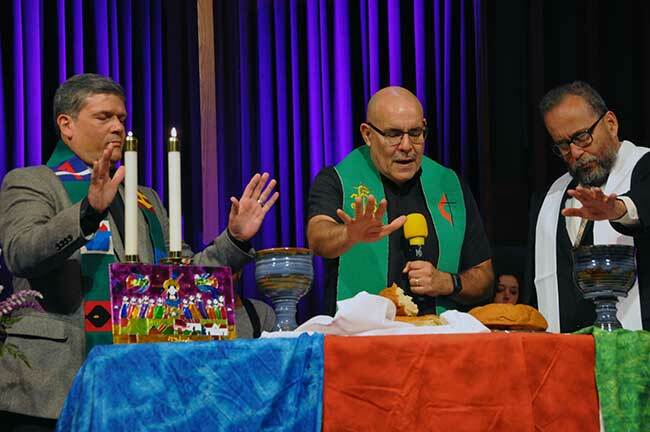 Escobar is excited about the possibility of new faith communities and of English-speaking congregations reaching out to the Latino community in mission and ministry. At the celebration of Hispanic Heritage, the pastors present gathered around Escobar and prayed for this growing initiative. 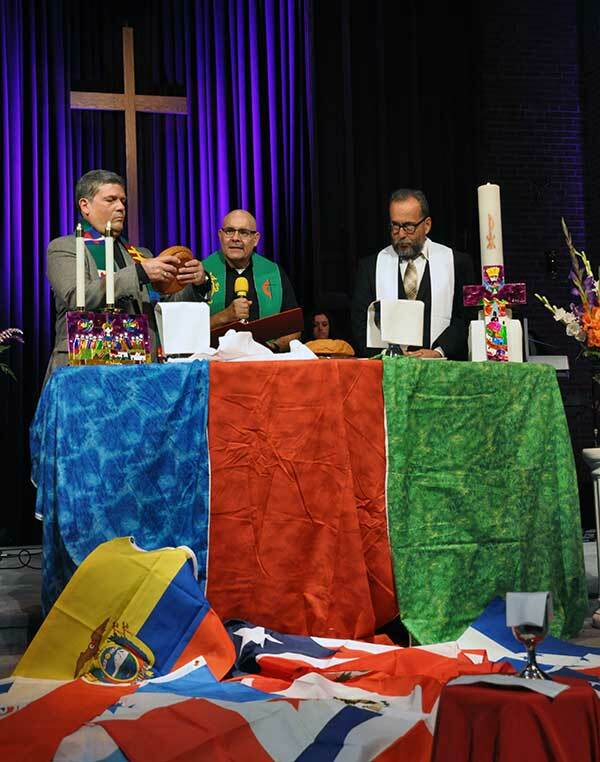 Those gathered also took an offering for the conference’s partnership with the Methodist Church of Puerto Rico. This almost two-year old partnership includes mission trips and opportunities for faith-sharing, said the Rev. Edgardo Rivera, superintendent of the Frederick District, who chairs the BWC’s Partnership with Puerto Rico. At the worship service, one of these partners, the Rev. 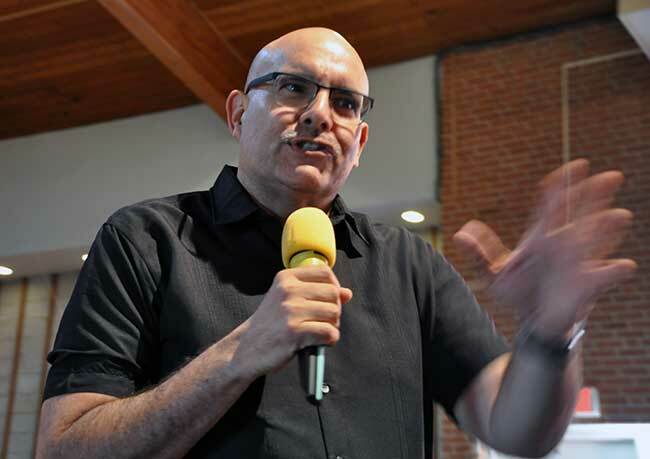 Ediberto Lopez, a professor of New Testament at the Evangelical Seminary of Puerto Rico, preached. Lopez addressed the sins of racism, prejudice, the abuse of power and wealth, and other evils confronting today’s culture. He challenged those present to listen for, and respond boldly to, the calling of God and the pain of people around them. “A que nos llama el Senor,” – to what is God calling us? Lopez asked. To truly experience this metaphorical mountain, Christians need to be willing to reach out and offer healing and to name and rebuke demons. 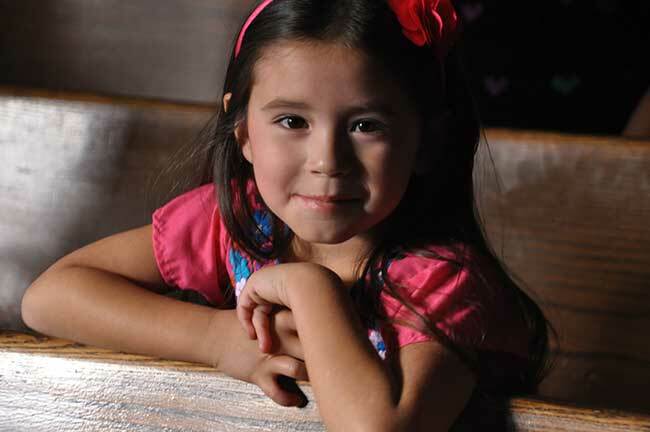 For more information about Hispanic ministries, visit @FamiliaBWC on Facebook or the Hispanic-Latino Ministries page.